Cream cleaner is what you turn to when your enamel, metal surfaces or laminates require something a little extra to get them clean. These lemon-fragranced cream cleaners, made by Selden, are sold in 500ml bottles. 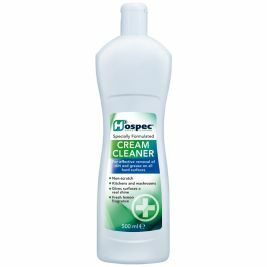 These cream cleaners come ready to use, and can cope with all kinds of dirt and grime, whether in a bathroom type area or for more general cleaning requirements. 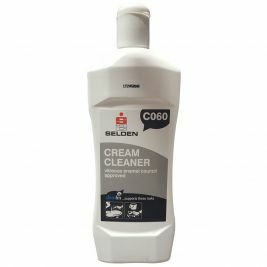 Cream cleaners utilise a mild abrasive to really cut through grime, corrosion, mould and other dirt to leave your surfaces smoother and shinier. For the tough kind of dirt you encounter in kitchens and bathrooms it is ideal. 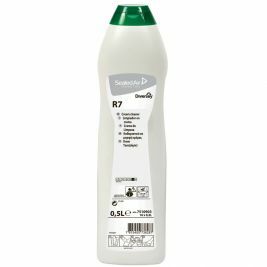 If you want to keep your bathroom or kitchen areas looking great and smelling fresh, then this cream cleaner is a good option to choose. Cream cleaners keep from Care Shop will maintain all your artificial surfaces, whether enamel, metal or laminates, and make sure that they stay free of unsightly stains and any dirt build-up. This cleaner can really penetrate all those difficult corners, and keep your space looking clean and smelling fresh. Cream Cleaners There are 4 products.